this pair of cushions really started to glow. In the house, of course, they pick up the light from a lamp or through a window so they can shine at any time of the day or night! I’m also going to take orders for wedding/anniversary cushions with ‘Mr & Mrs XXXXXXXX’ in the centre. Hope that if you’re in Winchester tomorrow you pop by to say Hello at the Vintage & Retro Market – bring your brolley, it looks like rain until the afternoon at least. Oh dear – ‘Bring a brolley.’ That was an understatement of what was needed today! Brollies were blowing inside-out in the gusts, so more drastic measures were called for – snowboots, gloves, multiple pairs of socks, riding mac, huge jumpers, massive rain hat. I was warm enough, and dry too but there were poor souls less well prepared who quite literally, froze. There was a dramatic snowstorm just after midday and that was enough for me I’m afraid. His Nibs in the chariot was summoned and I packed up early. Suffice to say, sales were very few and far between. What bad luck for us all at the Retro market today. There was lots of interest in personalised wedding cushion presents though. I was also asked if I could make a ‘ring cushion’ and I think I’ve had plenty of cushion practice! It was lovely to see people who’d bought Christmas stockings and to catch up with friends and neighbours who dropped by. It was even more lovely to come home to the snug house, have a hot shower and 2 steaming mugs of tea (definitely a winter mug for today)! No photos today, but maybe some more in the week. Pop over to Wendy’s Handmade Monday link up to see what everyone’s been up to. Hope the Spring weather returns soon – I miss it! 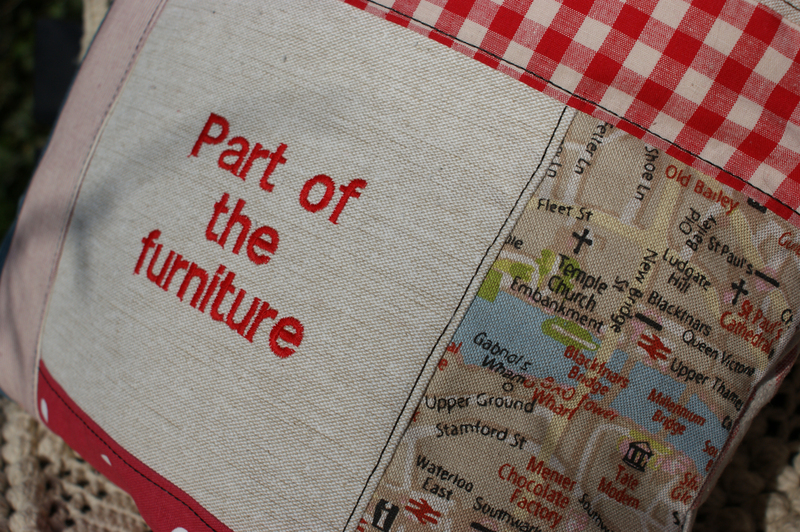 I love the “part of the furniture” cushions and I can definitely see the personalised Mr and Mrs cushions going down really well – a fab wedding gift! Ugh to the weather – I was hoping it was going to just get warmer from here on in. Ever the optimist, never the realist! I bet the golden cushions look relay gorgeous in the lamp-light. Good that you had lots of interest in the wedding cushions – hope you get lots of orders for them and the ring cushion. Hope you have a good week. What a shame that the weather didn’t match the glow on your cushions! Hope the weather warms up soon. Wow I love the pattern and colour of those cushions, so vibrant. The mr & Mrs are a good idea. We had snow too but my DS in Godalming thought we were mad when we said we had a blizzard, I was not dreaming. Lovely shiny cushions 🙂 They’re like a little bit of sunshine even on a cloudy day. Those gold cushions are adorable! 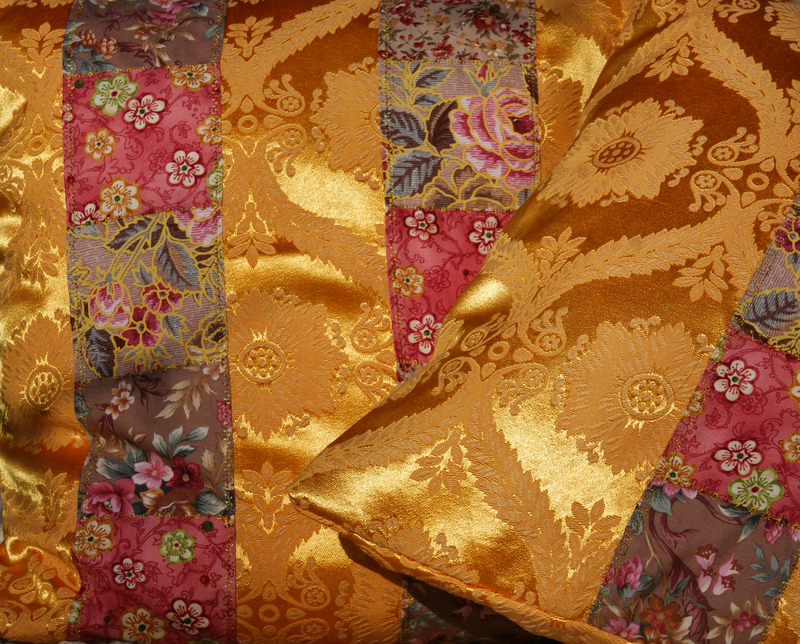 love that golden brocade material! And the ‘Part of the Future’ – I can see those being very successful! I sure do love that golden color, makes me think of Pauli (think a golden retriever cushion would look lovely out of that?). Sorry about the weather, ours has been ridiculous today, windy and cold (for Florida). I think I’m definitely ready for summer. Sorry to hear about the snowstorm. I like a bit of snow but not when it’s got a chance to freeze me. At least those bright, glowing cushions may help to make things seem warmer. I love your cushions-they’re so colourful and elegant. The only nice thing about such bad weather is getting home to a nice steaming cuppa or two. 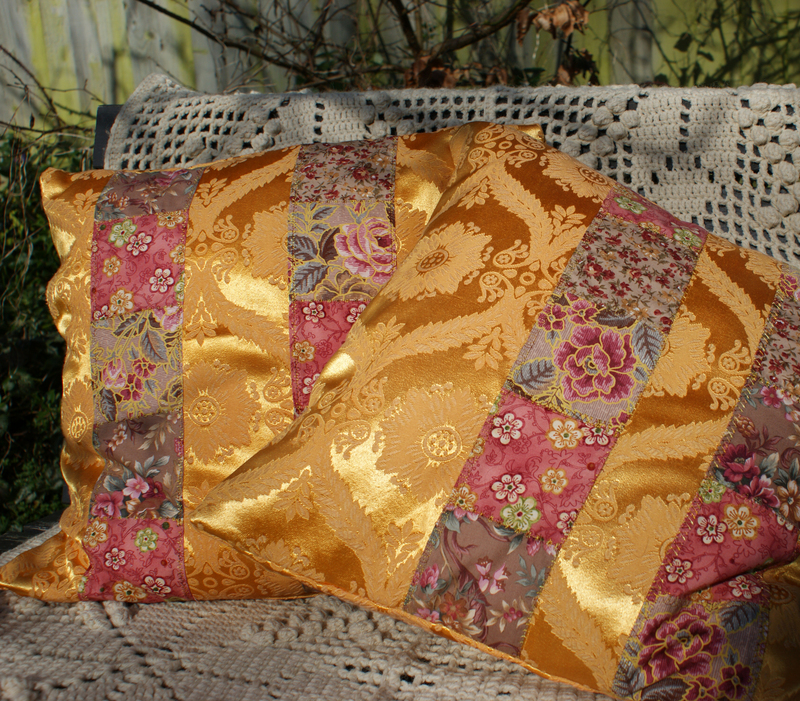 Love the gold fabric, I have similar fabric but not so shiny, it looks lovely for cushion covers. Great embroidered covers too, they look quite nautical with the fabric you have chosen, lovely. 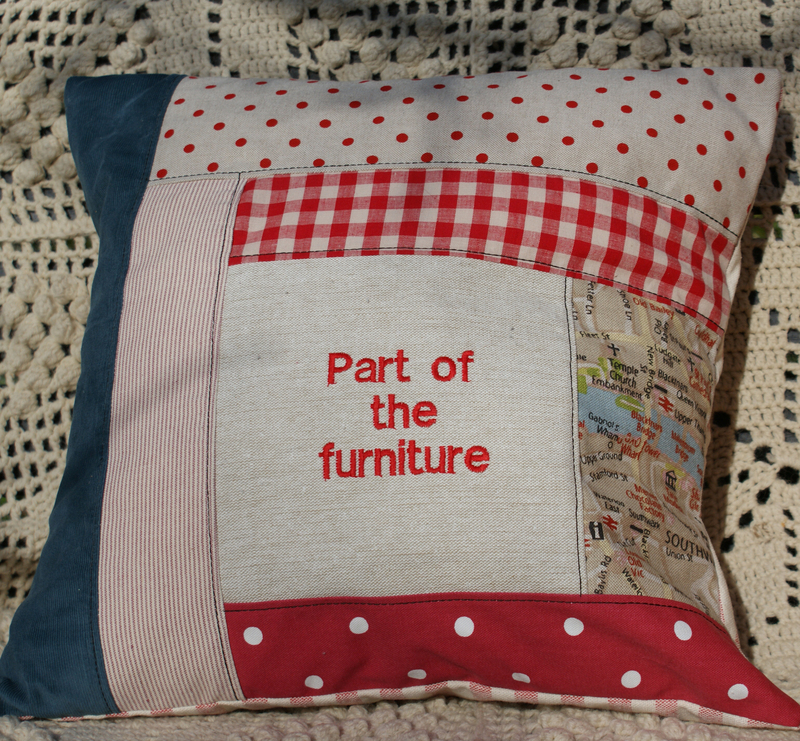 Great cushions – love the cosy cup holders in a previous post. Would love to visit the market as I have many fond memories of Winchester. You are currently reading Vintage gold … at Adaliza.